The Horror Tree Presents…An Interview with Francesco Dimitri. 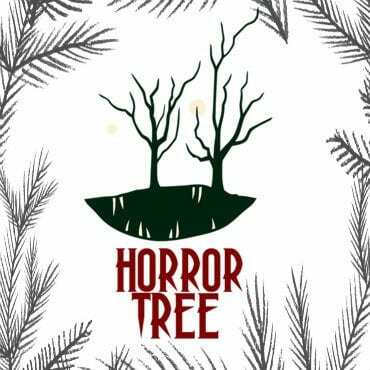 Selene – Welcome to The Horror Tree, and thanks for agreeing to an interview. Tell us a bit about yourself. Francesco – thank you! My name is Francesco and I write words. On good days, I write them in the right order. Selene – How long have you been writing, and what about the horror genre draws you? Francesco – I published my first book in 2004, so it has been a while. I think humans are fantastic – in some cases fantastically awful, but still fantastic. We are defined by our emotions, and as Lovecraft put it, the oldest emotion is fear. I would add wonder to that. Horror, the horror I like at least, is about fear and wonder, it is about human beings, real people. Us. Selene – You’ve got a new book just released this month, The Book Of Hidden Things. Let’s talk about that. It’s your first book released in English, right? This might seem like a dumb question, but did you write in English, or was it translated? How did you find the process of working in English? Francesco – It is my first in English, yes, and I wrote it in English. The process was interesting. The challenge was also emotional: I am a slightly different person when I think in English than I am when I think in Italian, and thus a slightly different writer. On the plus side, writing in a second language, and one that I learned as a grown-up, gave me, I think, a better understanding of how language works in general. It made me realise something that William Burroughs said, that language is a virus. If we don’t control it, it controls us, and it is easy to be controlled by your mother tongue. You don’t even notice the virus is there; you think words are a transparent window on the world. Then you learn another language, and you discover there are no transparent windows, only mirrors and distant echoes. Selene – Do you have any other books or stories available in English? Other than a few interviews, I’ve only been able to find articles about you in Italian (I don’t speak Italian, and I’m afraid my French and Spanish skills don’t transfer). Francesco – More is coming! Selene – I picked up the Kindle version of The Book Of Hidden Things as soon as it was available, and I’m really enjoying it. Especially, I’m enjoying the sense of time and place, and the Italian setting. How do you build your settings? Do you prefer a “realistic” setting, or are you a “world-builder”? Francesco – First, thank you so much! There is nothing better for a writer to hear in the first few days after publication. Second, I am a world-amplifier. I love to look at real settings and describe them realistically, only, turning up the volume a little bit, for better or worse. I made bright colours slightly brighter and the low tunes slightly lower, but only very slightly, almost unnoticeably so. I want to retell the real world as a fairy tale. Of course, fairy tales are terrifying. Selene – Another thing I found interesting about the setting of The Book Of Hidden things was how familiar some of the characters’ feelings about their dead-end little town felt. This is amusing since many tourists from other places seem to want to go to these quaint little towns in Europe, but the locals can’t get away fast enough! Did you think about this irony while you were writing about the town? Francesco – Definitely. I am a victim of this irony myself. I left my town when I was 18, which means I have been living away for more of half my life. I hated it there, but now I love going back and look at the place as someone who is a local and also a privileged tourist. It is worth remembering how old these places in the Mediterranean are – there are plenty of settlements older than Rome, which evolved in modern towns or cities. You can have a thousands-year-old necropolis at the edge of town, as it is in my hometown, and local teenagers just shrug it off: such stuff is so common it is not even considered creepy. These lands have been borderland forever, and there was time for a lot of layers to come into being – the layers you see as a tourist are real, but there are others, for better or worse. Hidden ones. Selene – You have another book, a non-fiction philosophy book, coming out in November, called A Sense of Wonder. Tell us about this concept. Does this relate to magic realism, another term that’s associated with your work? Francesco – very much. That Sense of Wonder is a popular philosophy book on how to reconnect with wonder as grown-ups, in a grown-up way, rather than chasing the elusive ‘inner child’. I think reality is deeply magical. It is strange and wonderful and terrifying, and I try to write fiction and nonfiction reflecting that. Selene – “A sense of wonder” certainly fits the feeling of the world you’ve created in The Book of Hidden Things. Does the inspiration for your non-fiction and fiction writing overlap? Francesco – That would be another yes. There is an overarching aesthetic project (if the expression doesn’t sound too pretentious): I want to play my part in re-enchanting the world. We tend to consider reality much more boring than it actually is, and we end up being jaded, only because we don’t look far or deep enough. My entire writing could be summed up in the words, screw that. Selene – Do you believe there are things (magic, monsters, the supernatural, etc.) that exist outside or at the edges of human experience? How might we access these things? Francesco – These are splendid questions which would be belittled by an answer. Selene – Speaking of inspiration, where do you get your ideas? What inspires your stories? Francesco – real life, by and large. I am a realistic writer who happens to see reality from an odd angle. I have an intense social life, and I try to keep my daily experiences as varied as possible. I spend as much time ‘out there’ as I do sitting at my desk. The world is ripe with ideas; the difficult bit is doing something with them. Selene – In The Book Of Hidden Things, I’m enjoying the twists and turns and suspensefulness of the story. How do you create suspense, to tease the reader into following the “maze” of your narrative? Francesco – I write for readers. Always, always for readers. I have a great time doing that, but I very much do not write for myself. I think of myself as a guide to another world, who must gain the readers’ trust in the first few pages, so that those readers will follow me through the strangest paths I want to lead them through. With every word and every comma I put on the page, I think, ‘If I were a reader, would I find this boring?’. There is a place, of course, for challenging, difficult books. But when boredom creeps in, the writer failed. It is not a very technical answer, because I find the technical bits not very interesting. They exist and as a writer, you need to know them, but it is not rocket science and you can learn them comparatively easily. What makes the difference is not the toolkit but the mindset. Selene – Let’s talk about the characters in The Book of Hidden Things. They feel like real people, with real flaws and secrets. How do you create believable characters? Francesco – I always think, ‘how would this person act in the real world?’. 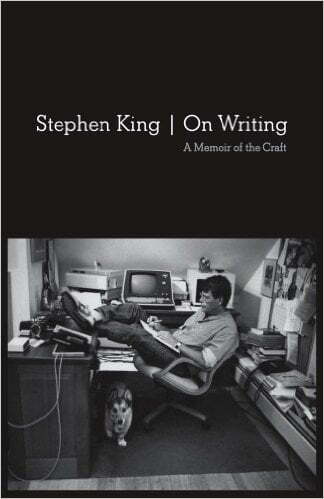 I put myself in the mindset of someone who is writing a real story about real people, a chronicle more than fiction. So, rather than try to make up what could happen to my characters, I try to understand what already happened to them, and be true to that. I also believe that to an extent characters are metaphysically true, but I am weird that way. Selene – In one interview, you mentioned you relate most to Tony. Do you write characters with elements of yourself, or try to gain different points of view through the characters? Francesco – I try hard not to write myself into characters; sometimes I agree with their worldview, sometimes I don’t, but again, I try to empty myself of myself as much as I can, and let them speak through me, rather than the other way round. The writing of the first draft is mostly me trying to understand who they are, what they do, and why. The other drafts are about polishing that. Often, when I am stuck with a story, it is because I made a character act in a way which was not the way that person would act in the real world; because I lied. Selene – You’ve also put together a collection of work from classic authors, meant to be read aloud. How would you say reading aloud differs from listening to audiobooks or story podcasts like Pseudopod? Why should adults read to each other? Francesco – because we need to meet in person, in flesh and blood and skin and bones. Audiobooks are great, and so are podcasts, but meeting in person is a different kind of pleasure. Reading aloud to adults was fairly common until not so long ago; then, with the coming of the radio fist, and the television after, it disappeared. Which is a shame: reading aloud is a gently intimate act, which brings people together. And we need more of that, more time spent together IRL so to speak. A lot of fears, hatred, divisions, disappear when you meet face to face. Selene – What advice would you give a writer just starting out? In particular, I’d like to know your feelings about working in another language. Francesco – Have an interesting life. Everything else you can learn, but if your book is going to be a riff on other books, even a well-played riff, why bother? Meet new people, try new things, explore, and come back to report what you found. As for writing in another language… it is exhausting and exciting. Do it only in a language you love in and by itself. Be in love with words, be in love with culture, be in love with people. Writing can be hard, so you need a whole lotta love to get through. Selene – Thanks again for taking the time to answer my questions. Do you have anything else you’d like to talk about here? Don’t get me started. I’m a talker. Thanks for your time, Francesco!